Looking for a company you can build a career with? Organizations like Buffer and Edgar have been doing this for a long period of time. But what people do not know is apart from the companies listed, there are also other companies that allow employees to work from home. This means that even if you stay in a location that is far from the company, you can still work for them remotely while sitting in your room. 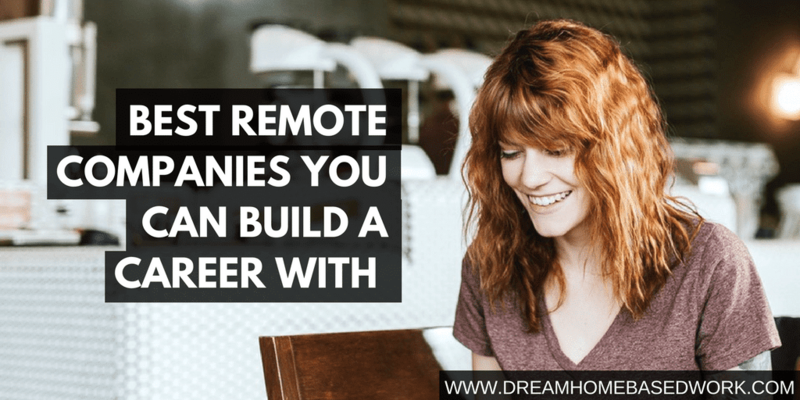 In this article, I will be sharing with you some amazing companies that you can build a career with while working from the comfort of your home (or anywhere for that matter). These companies have been tested and trusted so there is no fear whatsoever attached to working with them. Hubstaff: Hubstaff is a popular time-tracking tool created to help business owners track the time that their employees spend working on various different tasks. They offer a variety of remote positions in marketing, customer support, content writing, and more. It does not matter where you are, Hubstaff is willing to hire you if you have what it takes to work with them. 10up: This is also another company that allows you build a career while working from home. Though the company is mainly involved in hiring website designers and developers, there are other careers that can be found through this company. Invision: Invision is the next company you should consider looking into if you want to build a career working from home. It is a mobile application that connects you with various companies that are hiring full-time remote staffs. There is no limit to the type of career you can build with Invision. So, why not download the app and start searching for your dream job. Edgar: Edgar is also another company that is popular for hiring virtual staffs. Most bloggers and business owners depend on Edgar to help them maintain their social presence. So, by choosing to work with Edgar, you will join a team of virtual social media management professionals. Automattic: Most of the websites you visit today are accessible thanks to this company that hires remote staffs. Automattic, which is the brain behind WordPress hires virtual staffs to join its team of experts who are located in various parts of the world. When looking for an ideal work from home company to work for, be sure to carefully do you research and explore and compare all your options. You'll want to consider factors like the role and responsibilities you'd have, the compensation rate and schedule of course, along with the company culture and any benefits you'd need. Just because you work from home for a company, doesn't mean there's no company culture for you to adapt to. Some companies may require you to attend virtual meetings regularly or commit to a specific schedule which is something you need to think about. Luckily, this list has just scratched the surface when it comes to legitimate companies that offer quality work from home jobs. Other companies that you can choose to build a work at home career with are Zapier, American Express, Sitel –Read more, Apple, X-Team, RecruitLoop, UpWorthy, among many others. Have you ever thought about working from home? Which one of these companies interests you most?